FAMILY secrets and family mysteries and, above all, a deep undying hatred from a mother-in-law for her son’s wife. 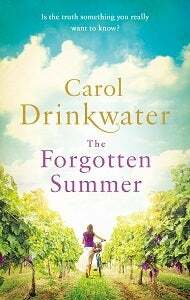 What a tangle in this Provençal vineyard and what a tangle Jane has to unravel as she tries to find out the secrets that her husband, Luc, kept from her. Vivid descriptions and atmospheric scene-setting have the reader all but working alongside Jane in the hot summer sun as she tries to find out more about Luc’s life – he is killed in an accident – and about mother-in-law Clarisse. There can be some confusion as the book skips backwards and forwards in time and from Provence to London but no such confusion when Jane discovers that film-maker Luc – and now she, his widow – owes around half a million on their London home. She must sell up and move to France to find a way to cope with the vineyard and with Clarisse. needed money – and Clarisse blamed Jane. Now they are living under the same roof and the person who can help Jane’s quest is the one person she will not give the satisfaction of asking.